Some people have problems understanding new ideas with which they are unfamiliar and so unintentionally misrepresent or summarize those ideas. Perhaps these are innocent errors. However, there are others who deliberately misrepresent or smear ideas to hide their true nature. How many people ever genuinely study the positions and premises of their political parties? How many of you have gone to the websites of the political parties you support and reviewed the formal planks of their platforms (e.g., Democrats, Republicans)? Do you understand the primary foundational differences between the political party that you support and the competing political positions? How closely do your moral premises agree with your political premises? Does this image accurately represent what happens in political discourse? 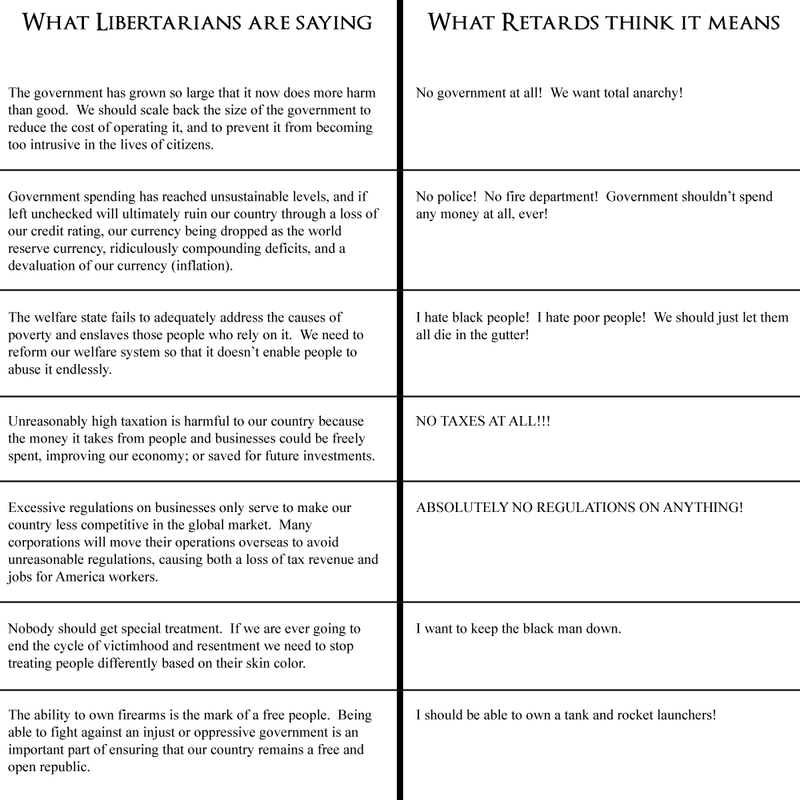 What are the basic premises of libertarianism and what's wrong with them? Let's take libertarians up on the issues.